Sally is an entrepreneur in the entertainment and arts field. Her career began when she bought the lease of the Richmond Theatre from her father, Basil Greene in 1986. In 1998, having saved The Old Vic from closure, she formed The Old Vic Theatre Trust with Stephen Daldry, and in 2003 she formed the Old Vic Theatre Company. 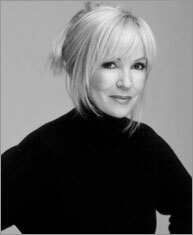 Sally Greene is also the founder of Greene Light Stage and co-producer of the Tony Award winning Billy Elliot the Musical. GLS has been the recipient of multiple Olivier and Tony awards, with the company's contribution to theatre being recognised worldwide. In 2007 she also launched Greene Light Films. Sally is the proprietor of the world-famous Soho jazz club, Ronnie Scott’s. She was instrumental in its complete restoration and since her takeover it has become internationally renowned as the place for jazz in London. In 2004, Sally opened the Cheyne Walk Brasserie, once voted restaurant of the year by Harper’s Magazine. Sally has dedicated much of her career to supporting and promoting charitable causes, many of them aimed at youth and education in the arts. She is a Trustee of the Old Vic Theatre Trust, Criterion Theatre Trust, Ronnie Scott’s Charitable Foundation and the London Music Fund. Sally has been a Patron for the HighTide Theatre Festival and Pop-up Ltd. She was a supporter of the NSPCC’s FULL STOP campaign and in 2017 she was instrumental in the backing of an innovative new partnership between the NSPCC and the English National Opera. Sally has also been a major supporter for other causes including Elton John’s AIDS Foundation and the Hoping Foundation. to the arts in Britain.